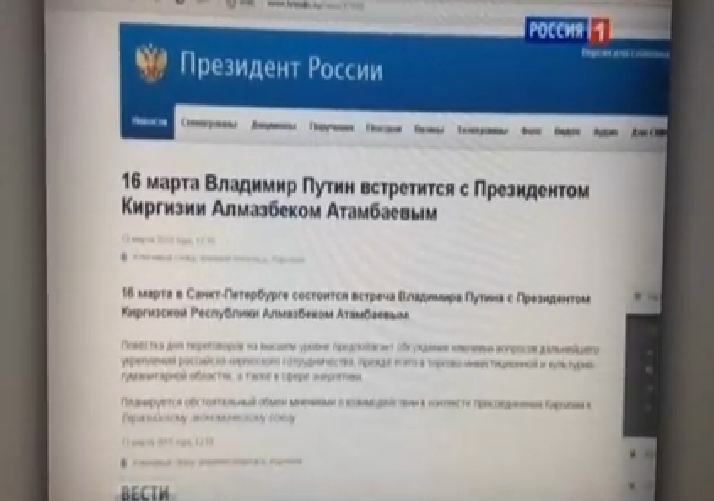 Today, Russian TV prematurely aired the news segment of Putin’s meeting with the President of Kyrgyzstan on March 16th, 2015. Both TV channels Russia 1 TV and Russia 24 reported on the results of a meeting between Presidents despite the fact that the meeting is not scheduled to take place until Monday. While news anchors were saying that the meeting took place today on March 13th, the footage and news ticker showed date March 16.